Newbury Elcot Park Hotel is set in 16 acres of landscaped gardens within a parkland estate of outstanding natural beauty. 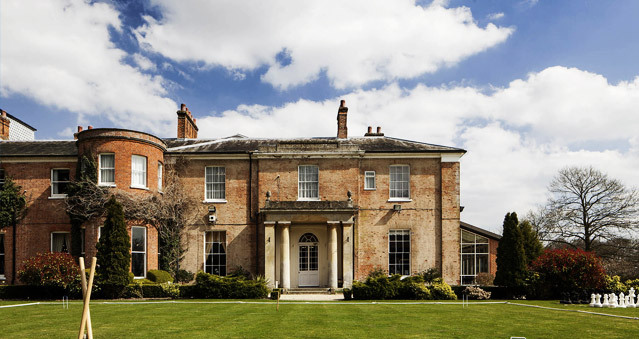 This eighteenth-century Country House has been expanded to incorporate 73 bedrooms, a leisure club, conference centre, wedding and banqueting suite, making it a perfect venue for hosting teambuilding activities. An exceptional 4-star country retreat, Newbury Elcot Park Hotel is a splendid Georgian Manor house overlooking the Kennet Valley and has many period features. Complimentary high speed WiFi is available in the 73 guest rooms and throughout the hotel. The Orangery Restaurant focuses on home-made Great British favourites, using locally sourced ingredients. The hotel’s 9 modern meeting rooms can hold up to 140 guests. The Newbury Elcot Park Hotel is ideal for teambuilding events such as It’s a Knockout, Crime Scene Investigation Experiences, Cluedo, Ipad Movie Making, Inflatables and many other activities. Location: halfway between Newbury and Hungerford – 5 miles in each direction. Kintbury railway station is just 2 miles from Elcot Park.